My God, My God why have You abandoned me? Reflect: On the cross, Jesus embraces the deepest suffering. His beaten and nailed flesh agonized for hours. His heart was also broken with the tremendous pain of despair. 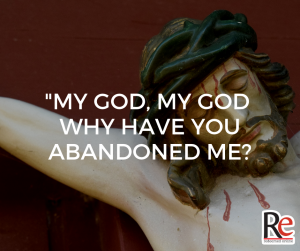 “My God, My God, why have you forsaken me?” are perhaps the most dramatic words he ever spoke. No matter the depth of our stress, pain, and suffering, we can know we are not alone. 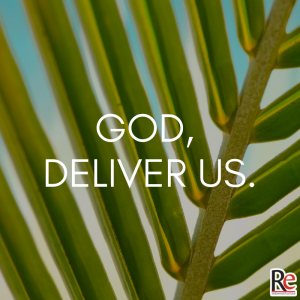 We have a God who knows that pain, lived that pain, and redeemed that pain. You are loved by him. Draw near to that love today. 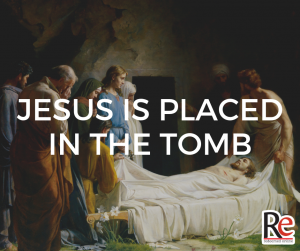 Share: Explain to someone today what the celebration of Easter means to you. Prayer: Jesus, I love you. The cross is a gift to me. Thank you for going through everything you suffered. I surrender to you my suffering. Help me to give you everything that I might be able to receive with open hands your love. Amen. 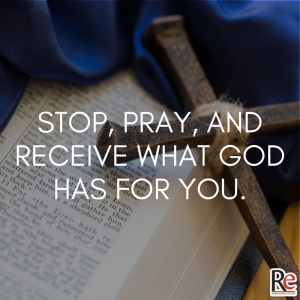 Today’s Podcast Episode: Don’t miss out on what God has for you. 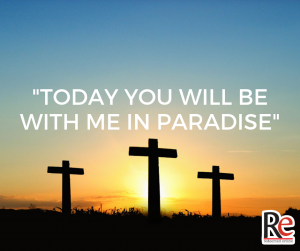 Share: Pray a rosary today for your friends and family who don’t know Jesus. Prayer: Jesus, I want to honor your mother like you. Mary, you are my mother. Please intercede for me and lead me ever closer to your son. You were faithful to him to last breath. Pray that I may have that same faithfulness. Amen. Today’s Podcast Episode: True love gives without expecting to ever take it back. How often do you think of heaven? As Christians, this world is not our home. We are all pilgrims longing for heaven. Christ’s words remind us not only of forgiveness and mercy but call our hearts and minds to heaven. Do you long for heaven? Do you live your life with an eternal perspective? Share: Send a text today to someone to let them know you are thinking about them and praying for them. Prayer: Jesus, give me a greater desire for you and for heaven. Help me remember that I am a pilgrim on this earth. You are my Lord and my God. Draw me deeper into the mystery of the cross this week. Amen. Today’s Podcast Episode: God wages war on our behalf. Today our focus shifts to the last words of Christ. On the cross, it took every ounce of energy and effort Jesus had to speak. These last precious words he labors to speak will lead us deeper into our journey towards the cross and our Easter celebration. 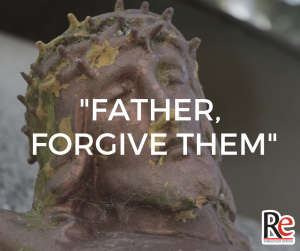 Share: Share today’s video with a friend who needs some extra encouragement and ask them to journey with you towards Easter by participating in the Seven Last Words of Christ portion of our Lenten series. Prayer: Jesus, as you suffered on the cross, speaking took every ounce of your energy. Let your last words pierce my heart these last days of Lent. Transform me. I love you and give you this day. Amen. 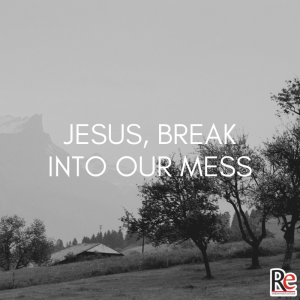 Today’s Podcast Episode: Jesus, break into our mess. Opening Prayer: We adore You, oh Christ, and we praise You, because by Your holy cross You have redeemed the world. 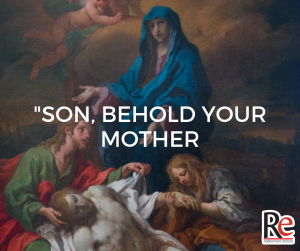 Reflect: Consider how the disciples carried the body of Jesus to its burial, while His holy Mother went with them and arranged it in the sepulcher with her own hands. They then closed the tomb and all departed. Prayer: Oh, my buried Jesus, I kiss the stone that closes You in. But You gloriously did rise again on the third day. I beg You by Your resurrection that I may be raised gloriously on the last day, to be united with You in heaven, to praise You and love You forever. I love You, Jesus, and I repent of ever having offended You. Grant that I may love You always; and then do with me as You will. 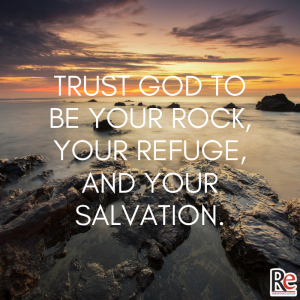 Today’s Podcast Episode: Ask God for the grace to trust Him to be your rock.